Data from the aerial moose survey just completed indicate that the downward trend in the statewide moose population continues, even though there has been no statistical change in the population during the past few years. Results of the Minnesota Department of Natural Resources’ annual aerial moose survey place the 2015 statewide moose population estimate at 3,450. This compares with estimates of 4,350 in 2014 and 2,760 in 2013. Overall, the number of moose is down approximately 60 percent from the 2006 estimate of 8,840. The DNR has conducted aerial moose population surveys in northeastern Minnesota since 1960. A spotter counts moose as a pilot flies a helicopter across 52 randomly selected plots of 13 square miles. “Survey conditions this year were generally good across moose range, although there was much less snow compared to last year,” said Cornicelli. The DNR’s ongoing moose mortality research project also is providing important information on population status. The adult and calf moose mortality studies are in their third year. As part of several studies, researchers will radio collar an additional 36 adult moose in the next couple of weeks. Another 50 newborn calves will be collared this spring. Researchers hope information and insights gathered during the studies will help identify potential population and habitat management options that may stop or slow the long-term population decline. Final decisions about moose hunting are made after the DNR consults with the affected Chippewa bands in the 1854 Treaty ceded territory of northeastern Minnesota. The DNR discontinued moose hunting in 2013 until the population could support a hunt. The Fond du Lac Band of Lake Superior Chippewa and the 1854 Treaty Authority contribute funding and provide personnel for the annual aerial survey. Most of the funding for the ongoing moose research project is provided by the Environmental and Natural Resources Trust Fund as recommended by the Legislative-Citizen Commission on Minnesota Resources (LCCMR). A copy of the 2015 aerial survey is available online at www.mndnr.gov/moose. 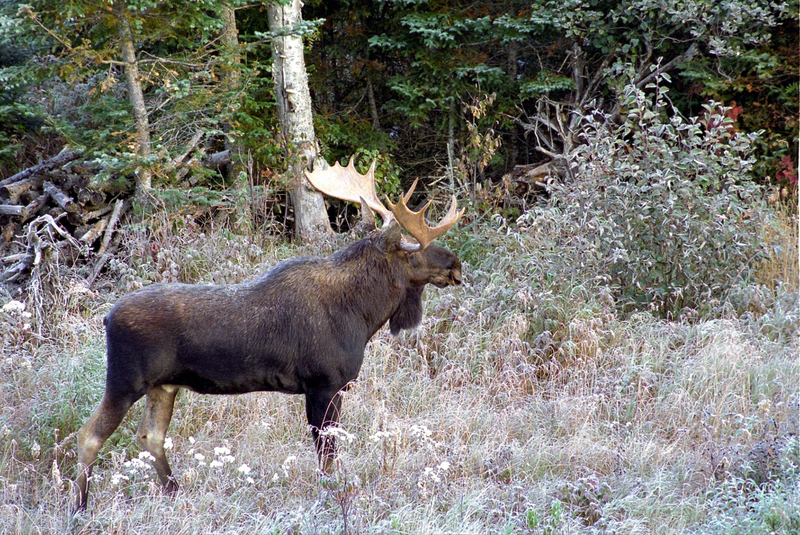 The Web page also provides information on the DNR’s ongoing moose mortality research project.